At Rep. Paul Broun’s town hall meeting on Tuesday, the Athens congressman asked who had driven the farthest to be there and let the winner ask the first question. We couldn’t hear the question in the back of the packed Oglethorpe County Commission chamber, but whatever it was, it got a big laugh. According to an outraged commenter on the article, the question was, when is someone going to shoot Obama? I’ve asked Team Broun whether that was indeed the question and haven’t gotten an answer. The commenter accurately described the questioner and the circumstances, and no one has disputed his account. 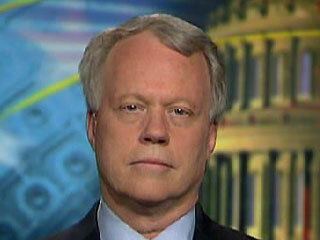 Update: Broun’s press secretary, Jessica Morris, confirmed that the question was indeed, who is going to shoot Obama? “Obviously, the question was inappropriate, so Congressman Broun moved on,” she said. He then segued into Republicans’ budget proposal. “I was gravely disappointed in the response of a U.S. Congressman who also laughed and then made no effort to correct the questioner on what constitutes proper behavior or to in any way distance himself from such hate filled language,” Farmer wrote. However, one group who took this seriously is the Secret Service. According to Ed Donovan, a Secret Service spokesman, the situation has been looked into. A law enforcement source confirmed that the Secret Service interviewed the constituent and determined that he or she was an “elderly person” who now regrets making a bad joke. Now there’s the small matter of whether Broun regrets not condemning the comment. My understanding is more will be forthcoming from his office on this soon, so stay tuned. Tuesday night at a town hall meeting in Oglethorpe County, Georgia an elderly man asked the abhorrent question, “Who’s going to shoot Obama?” I was stunned by the question and chose not to dignify it with a response; therefore, at that moment I moved on to the next person with a question. After the event, my office took action with the appropriate authorities. I deeply regret that this incident happened at all. Furthermore, I condemn all statements — made in sincerity or jest — that threaten or suggest the use of violence against the President of the United States or any other public official. Such rhetoric cannot and will not be tolerated. I certainly give Broun credit for the condemnation. I hope it’s sincere. But at the risk of sounding picky, I have a couple of follow-up questions. First, when Broun argued he “chose not to dignify” the question, why do local media accounts have him offering a response? Second, if Broun believes such rhetoric cannot and will not be tolerated, why did it take him three days to issue a denunciation? Is it just a coincidence that the congressman felt compelled to condemn the assassination “joke” after the media started covering it? If the crowd was so big, and it was a planned event, where’s the digital video? Don’t tell me the crowd was too noisy for anyone to record it AND that the crowd heard it. Now, as is widely known, it’s a serious federal crime to threaten the life of the president, which makes it less likely that the words are as reported in the pseudo-quote. It also makes it less likely that a person of the left was trying to make trouble for Broun (a theory I see some righties are propounding). If it was said, it was said by someone who was both malevolent and stupid. Why would a whole crowd of people give a big laugh when they found themselves in the presence of someone malevolent and stupid?